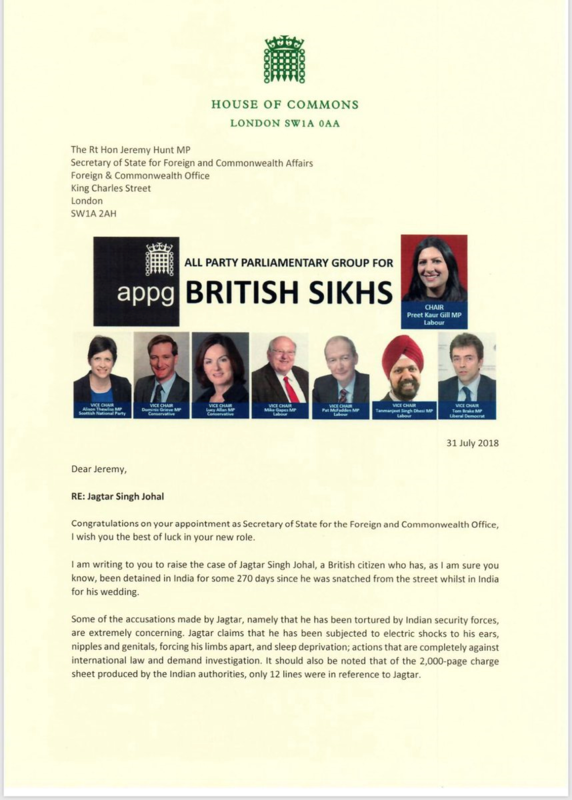 As Chair of the All-Party Parliamentary Group for British Sikhs, Preet Kaur Gill MP has written to the Secretary of State for Foreign and Commonwealth Affairs, the Rt Hon. Jeremy Hunt MP, urging the Foreign office to increase diplomatic pressure on the Indian authorities regarding the case of Jagtar Singh Johal. Jagtar is a British citizen who has been detained in India for 270 days, and who has raised serious allegations of torture. 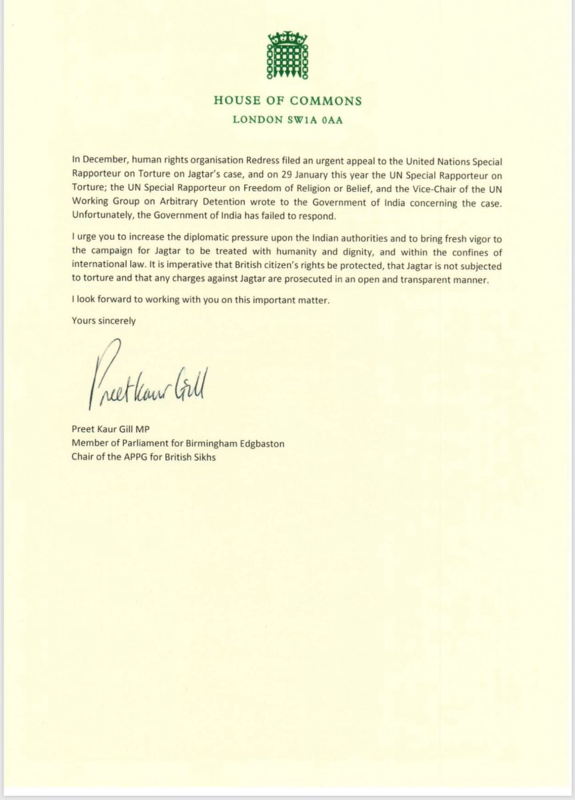 In the letter, Preet said, "It is imperative that British citizen's rights be protected, that Jagtar is not subjected to torture and that any charges against Jagtar are prosecuted in an open and transparent manner".